This entry was posted on November 6, 2015 at 2:20 AM and is filed under the bad. You can follow any responses to this entry through the RSS 2.0 feed. Responses are currently closed, but you can trackback from your own site. Finally saw Drishyam- Kya kamaal kee movie hai !! It deserved a wider audience.Ajay Devgan was brilliant. Next on the list – Brothers and Hero . It is a well made movie. Agree with you on Drishyam. You will like Brothers too. It’s becoming a favourite for many. Just saw Drishyam…really good film. Best Hindi film I’ve seen this year. Haven’t heard any bad comment. liked it. Will try to catch original sometime. 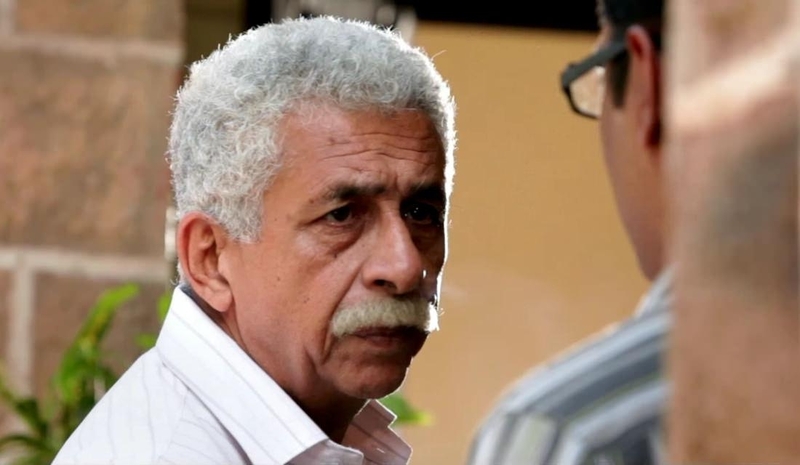 Naseeruddin Shah on being trolled for his pro-Pak stance, the ‘award vapsi’ trend and why, at times, he prefers working with newcomers over former colleagues. Last month, Naseeruddin Shah made headlines with his candid take on Indo-Pak relations at the controversial launch of former Pakistani foreign minister Khurshid Mahmud Kasuri’s new book, Neither a Hawk Nor a Dove: An Insider’s Account of Pakistan’s Foreign Policy. “I’ve been to Pakistan to perform and none of my shows were ever cancelled or disrupted. I wish we could have extended a similar courtesy to Kasuri sahab,” he had said. His comments caused a furore online and the 66-year-old actor was described as “biased” and branded a “Pakistani”. When asked what it felt to be trolled for his pro-Pak remarks, Naseer points out that he was targeted only because he is a Muslim. “It really pains me but I had never been so conscious of my religious identity until now. Four generations of my family have lived in India. I am a proud Indian and won’t allow anyone to question my patriotism. If I say Imran Khan (cricketer) is great, does that make Sunil Gavaskar any less a cricketer?” he reasons. so India is like Saudi Arabia? Perhaps we’ll see public beheadings next..
RSS = ISIS ?? Wud give u a pass if this is a joke. And if it isnt, wud have to question ur meds (or the lack thereof). Agree with Nykavi: this comparison is beyond belief. My response to you was satirical (some don’t get this even when it bites them on the nose). But if you don’t like the comparisons why bring them up? Don’t bring in Saudi Arabia. Don’t use examples of pork in Saudi Arabia. You yourself introduced it. Leaving this aside there’s the other absurdity here of finding everything excusable that doesn’t rise to that level. For instance there are plenty of Islamic countries that have very objectionable systems that don’t otherwise rise to the level of Saudi Arabia. The classic example here is Turkey. Erdogan is the Turkish Modi (before Modi!) as far as I’m concerned (unlike many I find it easy to spot the same politics whether it’s in India or Turkey or the US or wherever.. I don’t become blind all of a sudden or horribly confused when it’s about a party I support) and much that he’s done and will presumably continue to do in Turkey I find disturbing. This doesn’t mean Turkey isn Saudi Arabia! But it shouldn’t have to come to that. What Trump says in the US is pretty disgusting judging by the contexts here. Whether he means it or not, whether he can win or not is irrelevant because he makes that sort of language much more acceptable than it otherwise might have been. Again I don’t think he has a hope in hell of being elected but what he is saying and what many people like about him is already a worrying sign. The other thing I’d say about the whole ‘tolerance’ debate is that (and I won’t repeat my longer comment here) but this is again full of red herrings. Is India an intolerant country on the whole? This question simply cannot be answered one way or the other without precise qualifications. what one can say definitively is that it is a much more tolerant political system than many others and also much less so than some others. North Korea is not an intolerant country just because the govt might be among the most intolerant in the world. Germany wasn’t the most intolerant country just because Hitler got elected (he never got more than 32% of the vote). But what happens is that certain systems once in place are hard to dislodge and gifted politicians have a way of seducing their audiences. When it’s done for the right reasons it’s one thing but when it’s done for the cause of a toxic politics it becomes deeply destructive. And yes people can go along with this stuff because people can go along with anything. There is nothing intrinsically more tolerant or less tolerant about a nation. But yes there is a more inclusive politics, a healthier political discourse and there’s the opposite of this. the right politics must always be nurtured and not simply assumed. But again one must get away from foolish mythology. whether talking about the present or the past. And if one’s only contribution is by way of provocative, inflammatory, irresponsible statements one is part of the problem. This is all PR based promotion and hype created with every srk movie. It is like spreading lies shamelessy. Srk movies dont just come up with promotion, it comes with hype generated by his PR. It is the same PR agencies which gave him King tag too. Otherwise, how come toi know they are scared of dilwale? It’s trailer hasnt been released yet too that someone can assume this movie looks unstoppable. And i dont think star wars maker are the source for this bs news. Not in India, and I assume not in every part of the world. 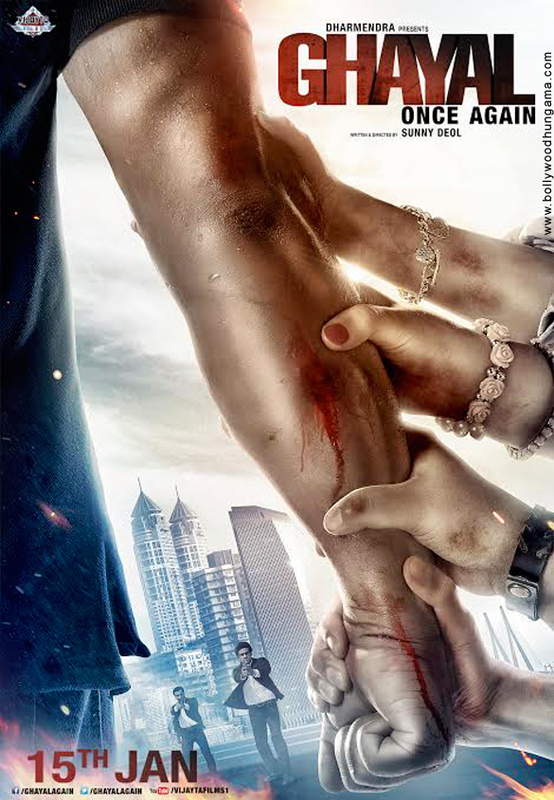 BH changed the URL.. anyways this is Ghayal Once Again 1st look. Trying again. Damn, what is this happening ? This movie should have released now or in december. First thing my father tells me in the morning, did you see the Bihar election results. BJP took a beating. Will it have any national impact down the road? On day 2 Specter dropped, similar to Quantum of Solace in this sense. On day 3 it’s as stable but at a lower level because of the drop. Skyfall of course had a big jump on day 2 (even Casino Royale had a rather modest one). Specter will be ok if it doesn’t drop much beyond this. Given the reviews one would expect a Quantum of Solace kind of performance but let’s see. yes the reviews have also been rather weak for this one. On that note I liked Quantum of Solace more when I revisited it on DVD. Didn’t care for it much the first time around. Also didn’t like Skyfall all that much. Casino Royale is the gold standard here. To my mind it’s the best Bond since Spy who Loved me. Did enjoy all the Brosnan films. With Craig there’s a great deal of angst to the films more often than not which always seems problematic in this universe (even if I like some of the films). Similarly the whole autobiographical deal towards the end of Skyfall just seemed like a big misstep. But I’m in the minority. They adored this film in Britain and it was very strong in the US as well. Taking the number one slot is Spectre, the 24th James Bond movie and already the eighth highest grossing Bond film domestically as it brought in an estimated $73 million from 3,929 theaters. It’s the second highest opening for a Bond film, $15.3 million behind the overwhelming performance of 2012’s Skyfall. Internationally the film brought in $117.8 million from 77 total markets, bringing its worldwide cume to an estimated $296.1 million after ten days. There is some question as to just how well Spectre will holdover as reviews weren’t as glowing for Daniel Craig’s fourth outing as 007, but an “A-” CinemaScore suggests audiences enjoyed it well enough. That’s on par with 2006’s Casino Royale, much better than the “B-” earned by Quantum of Solace and just a hair below Skyfall’s “A”. In terms of the film’s future, don’t look for it to come close to Skyfall’s $304 million domestic haul and it will be a test to hit $200 million. That was quite a shellacking out in Bihar. Hopefully all the beef-talk stops from now on! And we can get back to having our fill of medium-rare. In fact, this result clearly shows that even the hinterland electorate is maturely voting for people that it correctly perceives as having followed the development mantra. Nitish was never blamed for being corrupt or incompetent, and he was always going to have a huge base of loyal voters who credit him with giving 10 good years of development. Up against that large amount of goodwill, the BJP floundered and its development mascot was reduced to communal baiting. Howerver, if Cong/Opp think that this emboldens them to keep stalling the Lok Sabha, they will be in for a ruder shock in 2019. The Indian aspirational voter years for a smooth govt at all levels, that delivers pronto. Just think how penetrative social media will be by 2019, and how efficient information dissipation is going to become. Faced with a ever more mature voter, Cong/Opp will shoot themselves in their feet if they go against develpment initiatives in the Lok Sabha. Off course, the BJP also has to stop their fringe elements and totally curb all the madness they have been perpetuating. Its going to be the other way round and fringe elements in BJP will have to take a back seat and ‘substance’ will have to be the only way for survival. The results would have been sad if the BJP had fought this election solely on progress and development platform / agenda but the criminal elements they fielded in this election along with divisive sloganeering made them look like power hungry racketeers. The Indian Karl Rove ( Amit Shah ) needs to realize, as correctly pointed out by Arun Shourie is that instead of bursting crackers, Pakistani establishment will be somber looking at the Indian electorate which has time and again rejected politics of divisiveness. Nothing will please anti Indian forces more than watching divisive forces doing the dirty work for them. In the long run, this election results bode well for India as a nation. “…Meanwhile, back in NDTV’s alternative universe, the NDA’s early ‘leads’ were being garnished with little sprigs of psephological wisdom. Leads like this were irreversible, the gap would only widen because the NDA’s gains were evenly spread across Bihar, across all five phases of the election. The broad moral of the results, according to Prannoy Roy, was that the people of Bihar wanted much more than bijli, sarak, pani: they wanted vikas. They were, naturally, aspirational. The prize for Most Irresistible Comeuppance belonged to Shekhar Gupta, once editor of the Indian Express. Gupta’s commentary is a blend of insider knowingness and vatic generalization. On Sunday morning, he surpassed himself. When the NDA had won the election (that is, before 10 am), Gupta in his usual forensic way, cut to the heart of the matter. Nitish Kumar had been humiliated (on the strength of the leads in the first half hour) on account of his arrogance in his second term. He had humiliated Jitan Ram Manjhi and alienated the mahadalit vote. He had his head turned by provincial success and began to dream of Delhi. He began to pander to Delhi’s drawing-rooms and lost touch with the Nitish Kumar of old, the grassroots political worker. Dreaming all-India dreams, he lost Bihar. This was a fine, fluent explanation; the trouble was, Nitish won. As the head-banging wrongness of NDTV’s reporting became evident to the panel in its studio, the mood turned from certainty to bafflement to a kind of giggling hysteria. There was a point when Prannoy Roy returned from a break and actually said that the panel would now walk back all its arguments to explain why the opposite had occurred. It was almost as if they were reporting on a bunfight in the Drones Club, not a election that had the country riveted, that actually meant something to the people watching television. Roy, Sopariwala and Gupta, arguably the most experienced team of election pundits on television, couldn’t tell the difference between pundits not taking themselves too seriously and pundits not taking responsibility for bad data and facile, frictionless explanations. By noon when the scale of the NDA’s defeat became apparent, we were being treated to Shekhar Gupta’s explanations for its failure. Thus, the error the BJP made in ‘rallying round the cow’, the failure to polarize Bihar’s people, the hijacking, as he put it in a tweet, of Narendra Modi’s message of kamaai, padhaai & dawaai (earnings, education and medicine) by the Giriraj/Avaidyanath idiom of dangaai, pitaai, ladaai (violence, beatings and quarrels), these were the reasons the Grand Alliance won. Karl Popper, who was sceptical of history’s claim to the cachet of being ‘scientific’, argued that historians were no more than historicists, people who legitimized what happened by making it seem inevitable. E.H. Carr, who had written a history of the Bolshevik Revolution that Popper greatly disliked, argued that Popper’s objection was pointless: the historian’s job was to explain what happened, not what might have happened. This isn’t an argument that’s ever likely to be sorted out to everyone’s satisfaction, but seldom has Popper’s cynicism been more vividly borne out, live, on prime time than it was on Sunday morning. The same panel that had confidently explained defeat, now, given the benefit of hindsight, omnisciently explained victory. After such knowledge, what forgiveness? The surrealness of the morning wasn’t confined to the NDTV studio. On the India Today channel, Rahul Kanwal had the same moment in two different movies. Early in the morning he appeared, exhilarated, in the middle of a mob of BJP celebrants; a little later in the day he reappeared, exhilarated, in the middle of a mob of Mahagathbandhan enthusiasts. It was the kind of morning when I didn’t dare step out of the house for fear of meeting a left-handed me….”. It seems PM Modi is being shortchanged ! Its about time he was reined in. The only diff betn Cong and BJP was the democratic nature of the BJP. That USP had withered away in the past 18 months under the Modi-Shah dictatorship. Now finally their feet are being held to the fire. I was in Gujarat in August and even there, people are not too happy. Well, they’re take on it is it’s not difference than what it was under Congress. “Achhe din aagaye” is just a slogan, has no real achievement to back that slogan. Maybe BJP needed 18 months to settle down and now they will accomplish things?